The following comments about attractions in Kefalonia have been posted from individuals. We believe that the best reviews of Kefalonia, Greece are written by travellers and holiday makers who have experienced Kefalonia first hand and want to share their thoughts. Can you share yours? 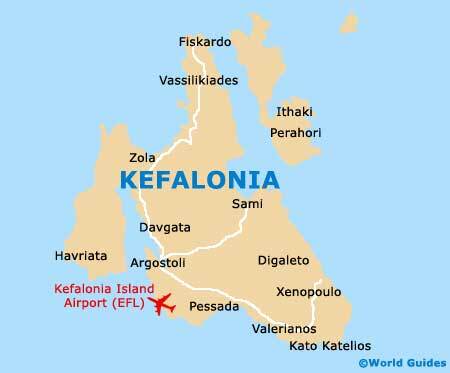 Please help us expand this section of our Kefalonia World Guide. Let us know what you think about the attractions in Kefalonia, Greece. Submit comments about Kefalonia attractions here. The modernity of the island sets it aside from other Greek islands that are rich in history and filled with old architecture, this is more cosmopolitan. However, it remains a great holiday spot and visitors can still explore the diverse mountainous landscape. On a recent visit to the Ionian Islands I found myself lured in to the paradise that is Kefalonia Island. The island was destroyed by an Earth quake in 1953 so most of the buildings are modern, however this does not deter away from its charm and I still had a great trip with walks along the harbor and tasting some superior cuisine. We stayed in Argostoli, the capital of Kefalonia, here we chilled on the beaches and basked in the Greek culture, with amazing food! A highlight was taking a Volta, an evening stroll as it is referred to here, great for people watching and marveling at landscapes of Rizopaston. The infamous Myrtos Bay, a tranquil expanse of lush seas and golden sands is one of the most frequented areas in Kefalonia and the reasons are evident. Head north of Argostoli to find it. There are many activities to do around here. Take an excursion suited to your own abilities and fitness levels. A popular one that we did was exploring sea caves on a Kayak, definitely recommended.